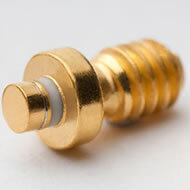 The diodes are available in screw based, push fit, cavity, stripline and surface mount packages as standard, and in single or double die configurations. The production facility is currently active in servicing commercial, automotive and defence markets, and has experience in producing components for space applications. It is staffed by a team of highly skilled and dedicated individuals with many years experience of semiconductor packaging and test activity. This is complemented by the existing extensive design, development, manufacturing facilities and staff of Linwave Technology Ltd.
Linwave Technolgy is also able to offer a packaging solution for obsolescence solutions including like-for-like replacements and custom specified upgrades.